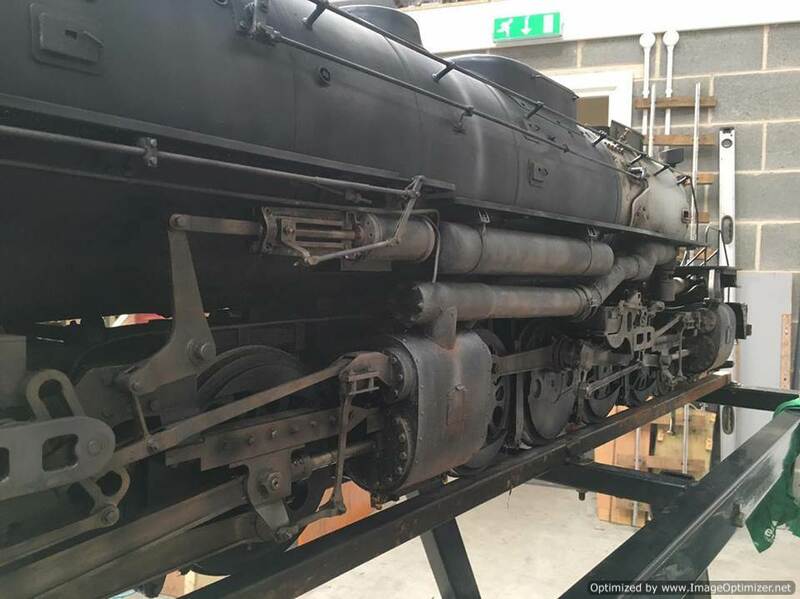 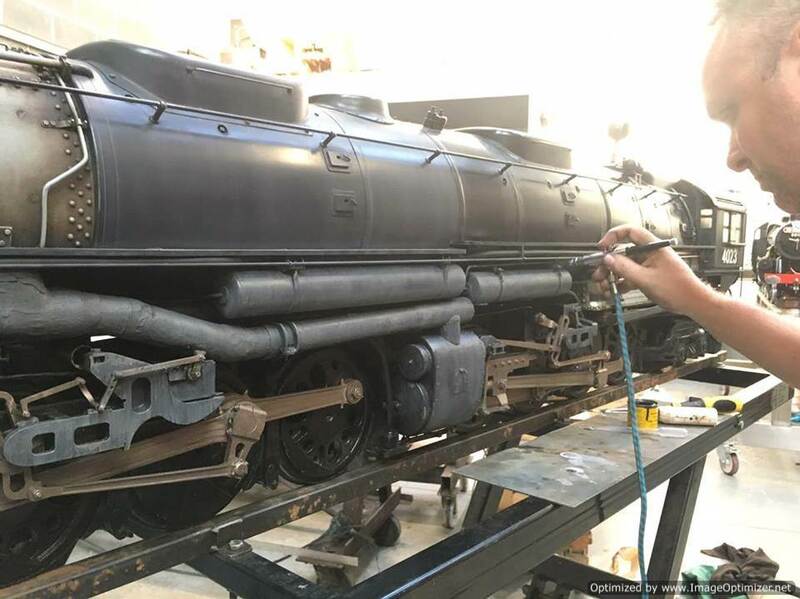 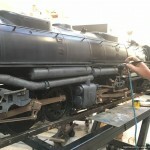 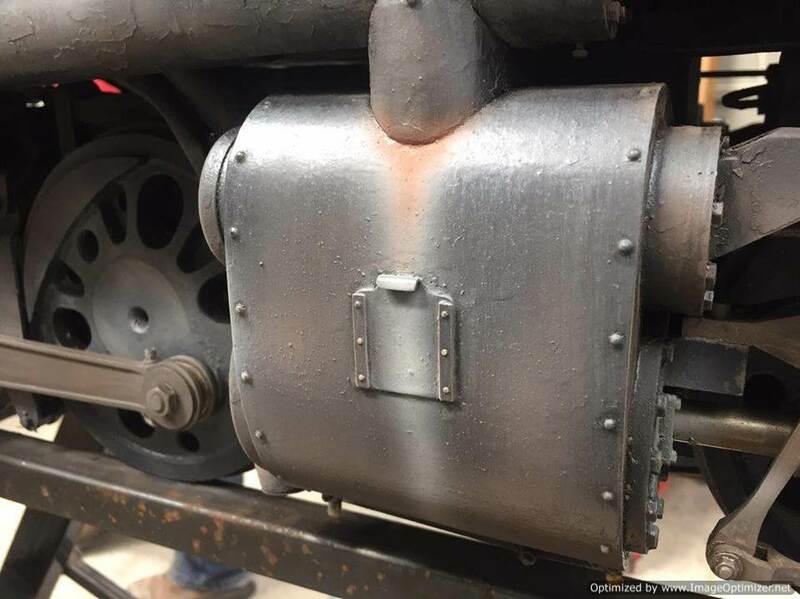 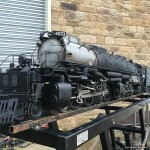 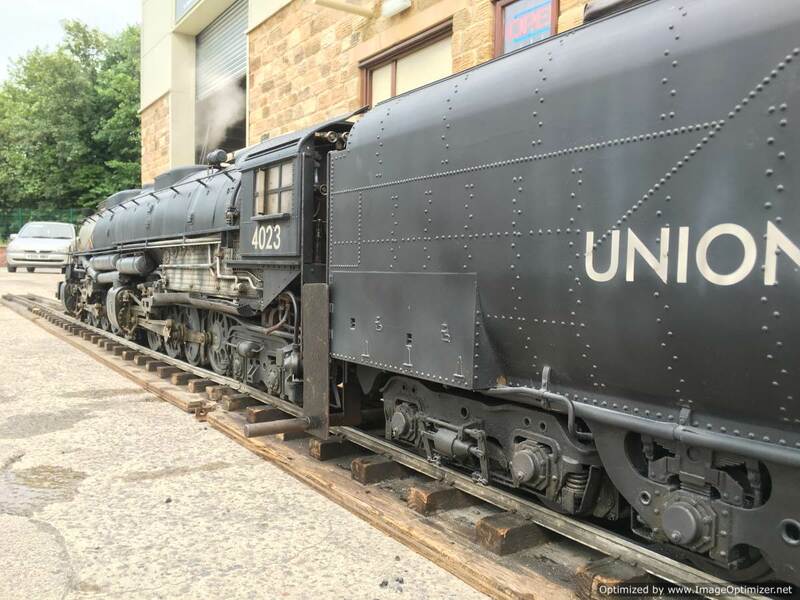 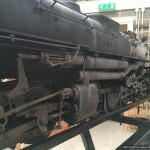 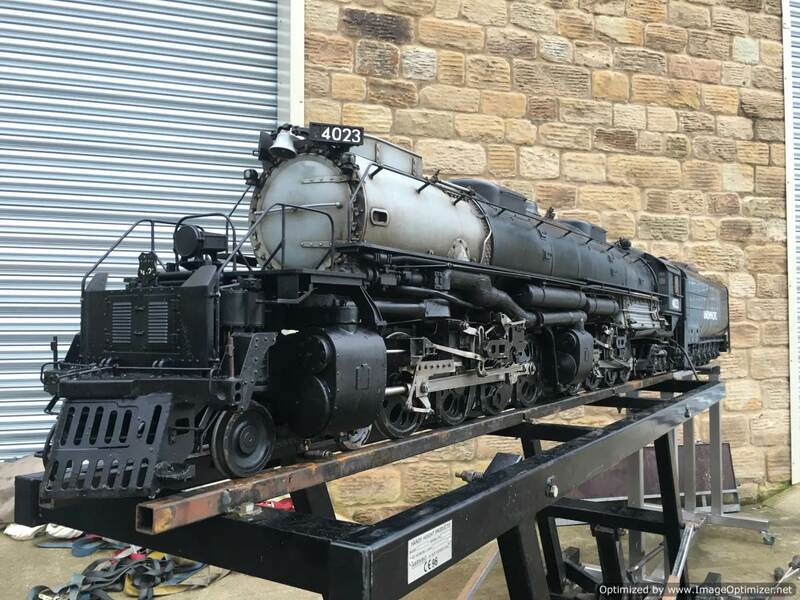 Here’s a little album to show the weathering process for our 5″ gauge Union Pacific Big Boy. 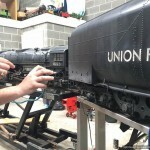 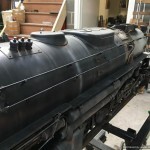 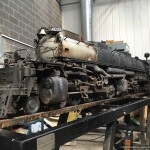 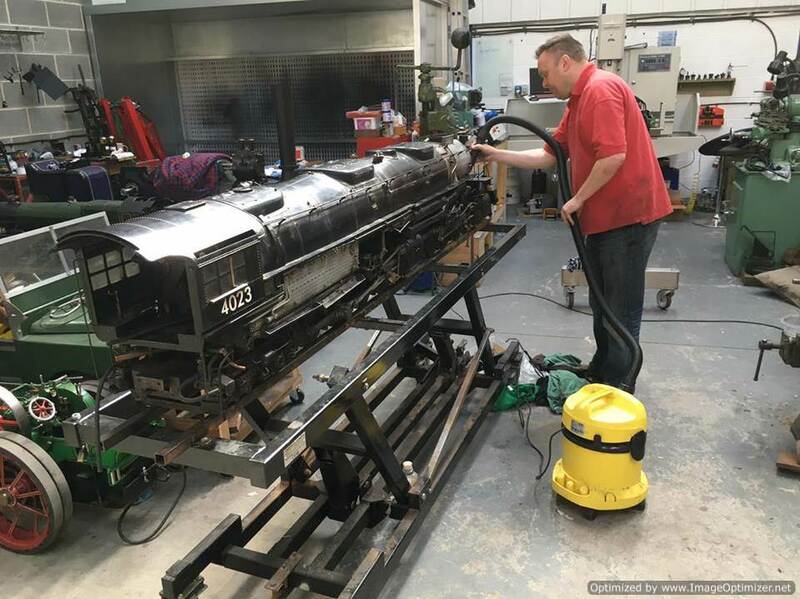 Firstly a couple of pics showing the loco before we started, and Mike cleaning her up ready for the weathering to begin. 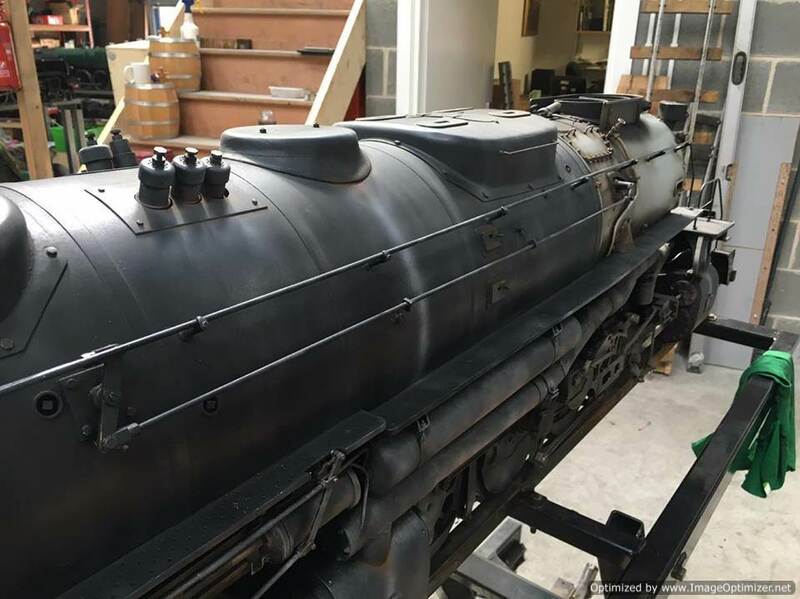 Cosmetically she was a little tired, with a good deal of natural weathering from her 20 years, but there were numerous little areas of genuine rust, and unprotected metal, as well as a general slightly tired look rather than specifically weathered. 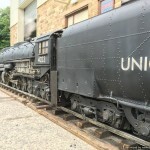 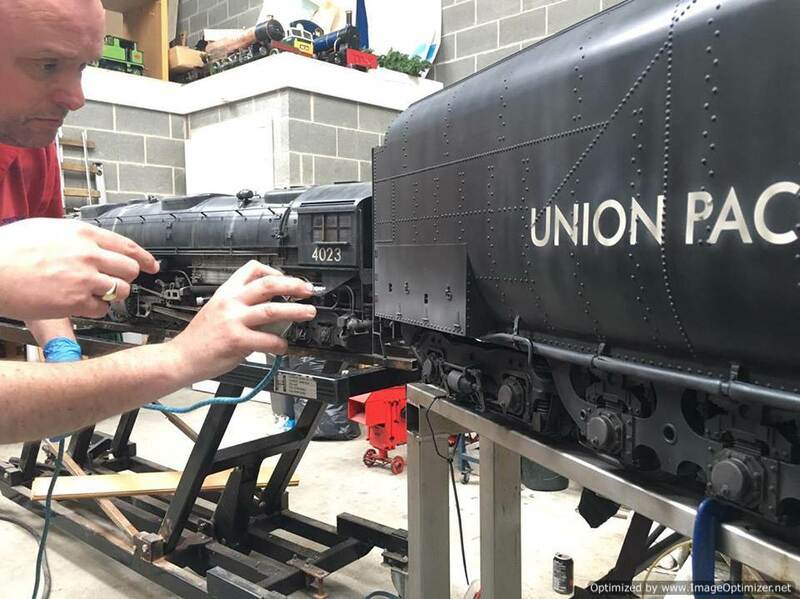 The decision was taken to fully weather the loco, both in order to protect the model from any deterioration, but also because we wanted it to look exactly as the real thing did when in use. 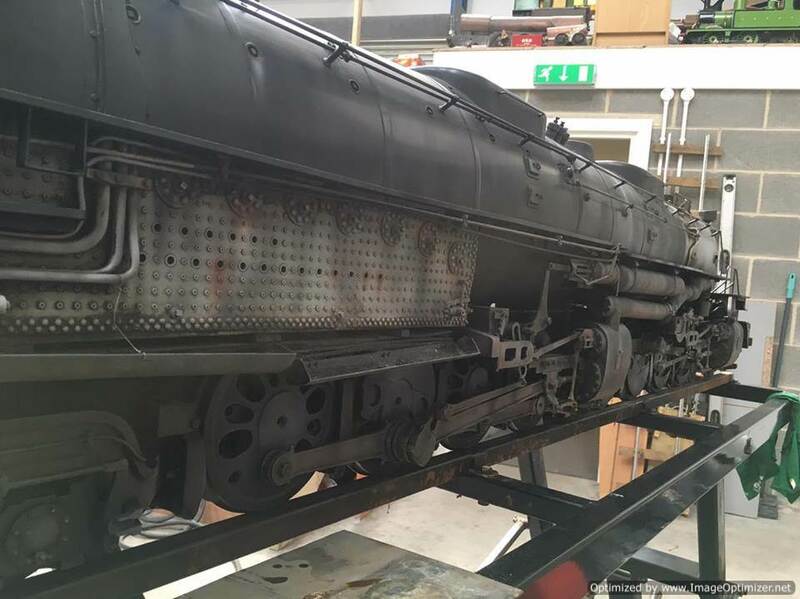 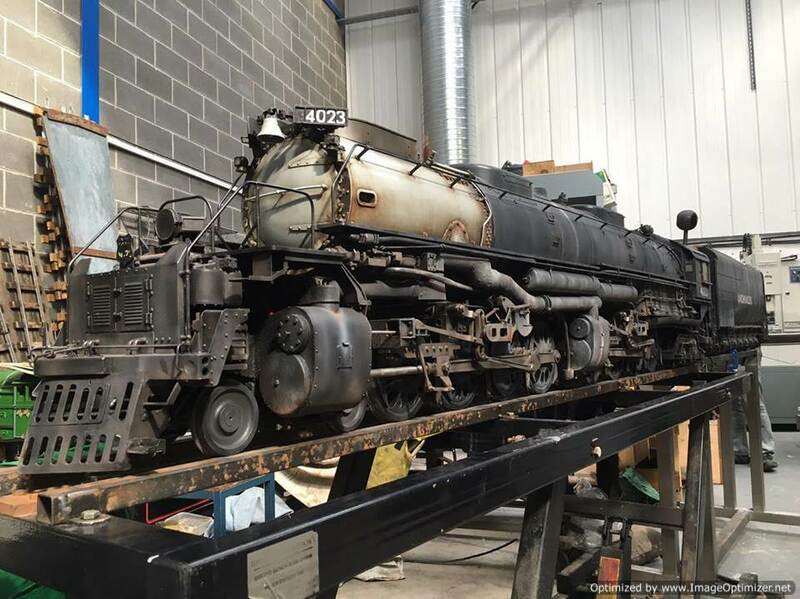 At some point in the future we will do a full mechanical overhaul on her, and at that point we will probably re-paint her and finish her off to exhibition standard, probably adding the rest of the scale detailing where possible. 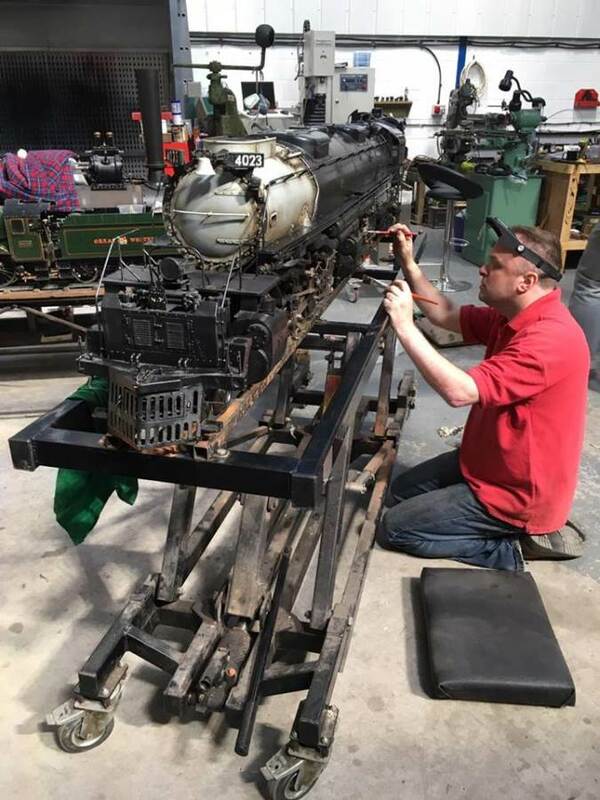 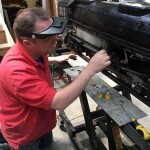 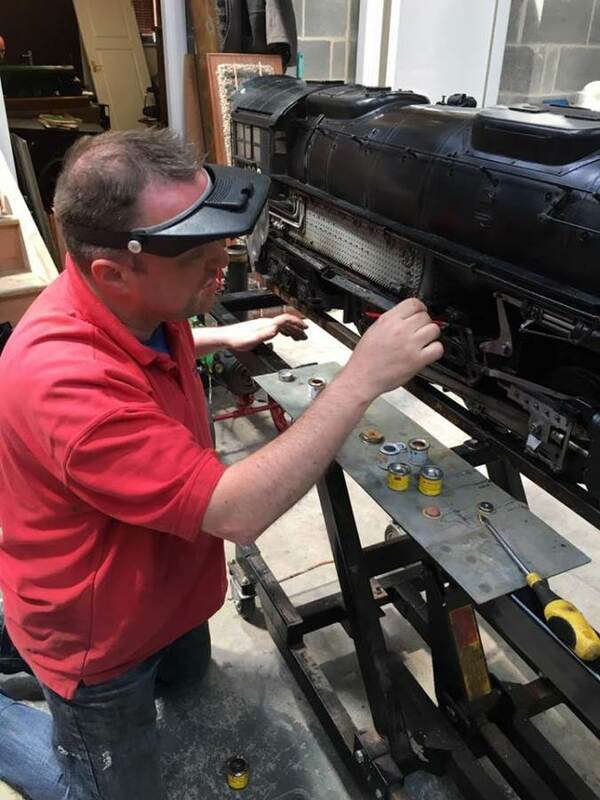 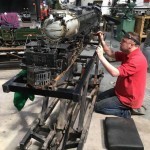 For now, enjoy seeing Mike weathering the old girl before we re-commission her into a new lease of life! 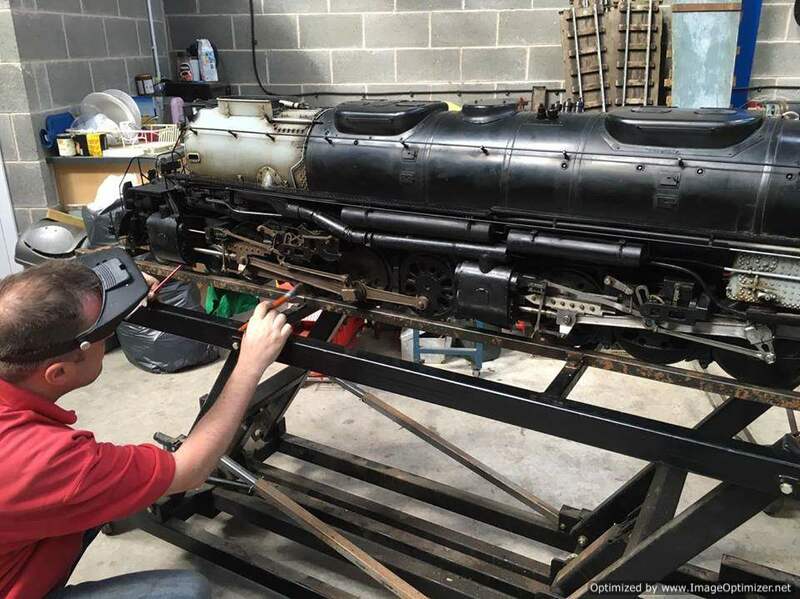 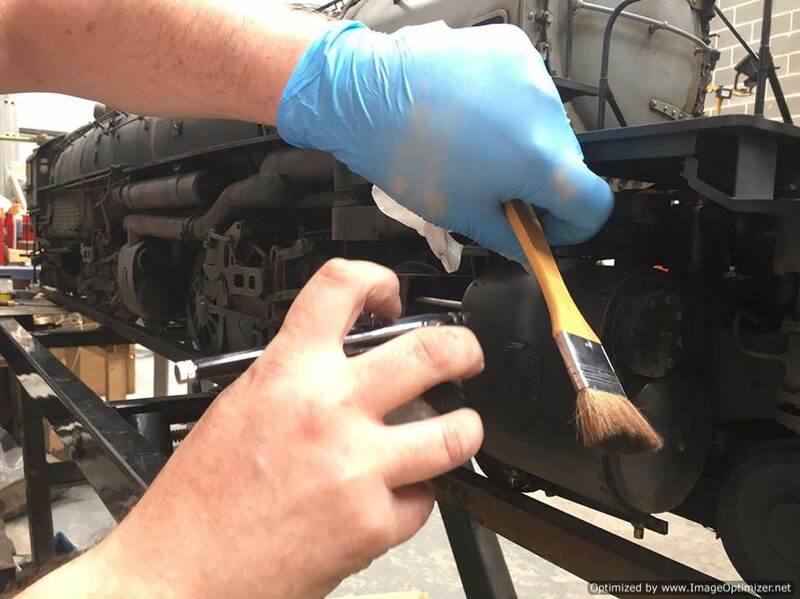 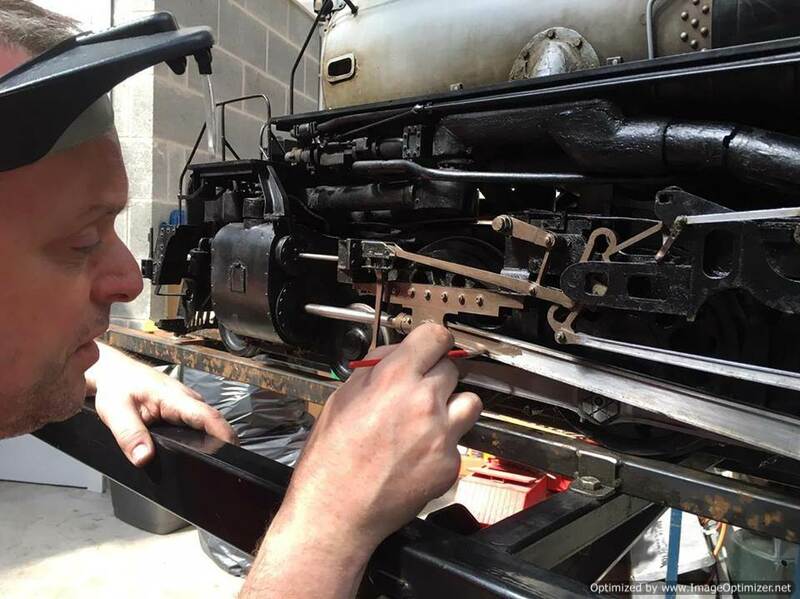 Starting with the valve gear, Mike paints on the base coat of the greasy steel brown! 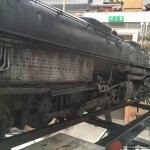 Quite a stark contrast upon the bright steel rods! 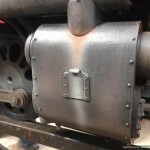 Then the base grey over spray coat was layered up with the air gun. 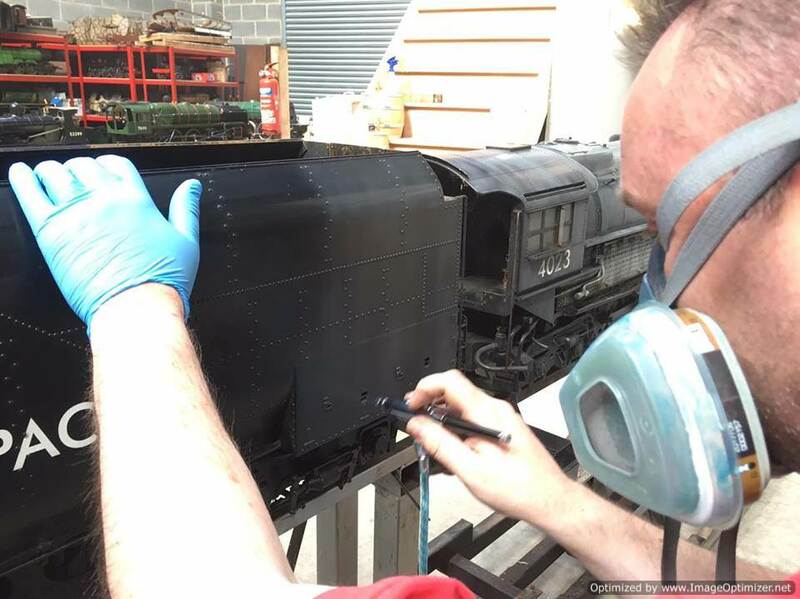 Obviously this is a much abridged gallery to make the general process accessible, but once the base layers had been added, and essentially the entire locomotive was covered with weathering paint, the top layers of detail, muck and rust could be added using a combination of techniques. 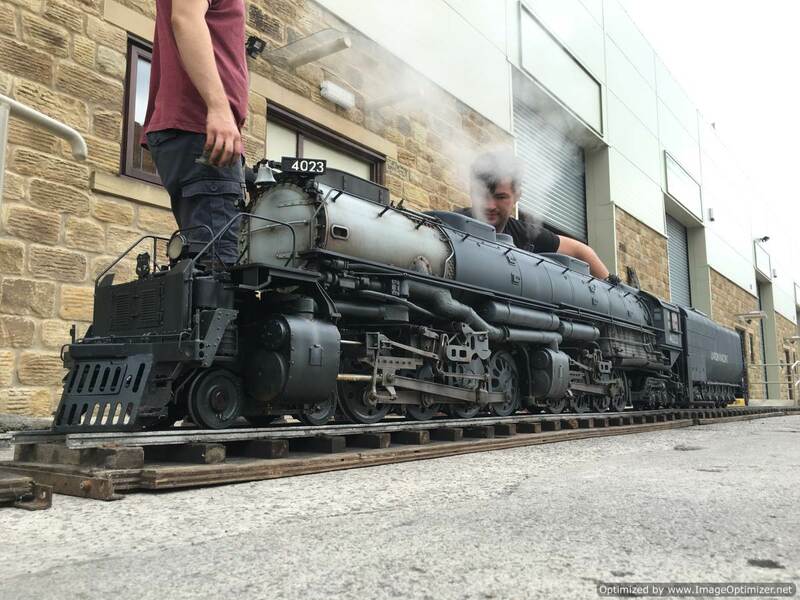 ….. and then a few photos and a link to a video of her running on test in all her glory!